The liver is the most common site of metastasis from colorectal cancer: about 50% of patients affected by colorectal cancer develop liver metastases during the course of their disease ; of these, 25% present with synchronous liver metastases, whereas an additional 25% develop metachronous hepatic metastases. Approximately 148,800 cases of colorectal cancer are estimated for 2008 in the United States, with more than 60,000 cases of liver metastases . Patients with untreated metastatic colorectal cancer have a poor prognosis with a median survival of 6 to 12 months . 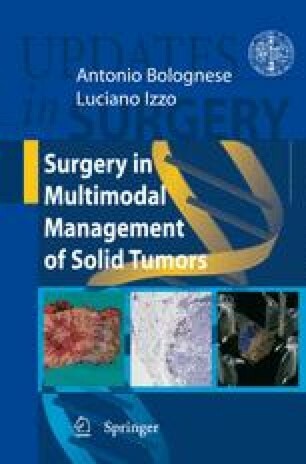 Surgical therapy for colorectal liver metastases remains the only potentially curative treatment. Despite recent advances in systemic chemotherapy, the median survival for unresected patients ranges from 12 to 24 months with uncommon long-term survival, while the 5-year survival rate after surgery ranges from 25 to 58%. These results are expected to improve with better patient selection and multimodal approaches. Therefore, when indicated, resection of colorectal metastases to the liver should always be considered.